Some time ago, I noticed the safety-fication of everything. I noticed that otherwise fairly ordinary words have been co-opted to give a specific safety meaning. Once I noticed this, I couldn’t stop noticing it. So a few months ago, I started to log two-word safety terms (and a few three-word terms) that I encountered when reading and communicating with others. The log literally led to an A-Z of terms, which I have included below. The terms are very different in terms of ontology, or their essential nature. Some of the terms are conceptual or abstract (e.g. Safety Culture, Safety Mindfulness; some are of arguable ontological status! ), while others are practical or concrete (e.g. Safety Magazine, Safety Barrier [some of which really are concrete]). Some concern roles and jobs (e.g. Safety Officer, Safety Auditor), devices/equipment (e.g. Safety Valve. Safety Boots), documents (e.g. Safety Procedure, Safety Notice), processes (e.g. Safety Assessment, Safety Method), and organisational functions (e.g. Safety Department, Safety Division – interesting separators in themselves). Some concern a particular industry (e.g. Aviation Safety, Patient Safety), and some are general across industries (e.g. Occupational Safety, Process Safety). The list has raised a lot of question for me, concerning the (real) purpose of the language that we use in safety professions and how this language is received by others. I wonder whether safety-fication is a symptom of déformation professionelle. I am not sure to what extent other functions and professions (e.g. quality, efficiency, production, sustainability) do the same (I guess they do). But I wondered to what extent the safety-fication of everything might have had the unintended consequence of alienating others by separating and isolating ‘safety’ (whatever we mean by that) from other prioritised organisational and personal goals or needs (e.g. efficiency, cost, production, quality, sustainability, excitement, fun, relatedness, community). The key issues that come to mind for me when I look at the list concern the origin and purpose of the terms, and the interest in and adoption of the term. Each term has a story. It is interesting to think about how the term came into being, who introduced it, and why – what was its purpose, and what is its purpose now? Most of the terms seem to represent an idea or initiative which has been imposed (top-down), while some have emerged (bottom-up). The terms certainly serve particular purposes, agendas and needs. The interest in the terms, however, raised the most questions for me. The terms seem to evoke various levels of interest from various people, for different reasons. Some are aimed at ‘management’ (e.g. Safety Dashboards, Safety Leadership [which is usually aimed at managers]), while others are aimed at ‘workers’ (e.g. Behavioural Safety, Safety Compliance). Some of the safety terms are in fairly widespread use (e.g. 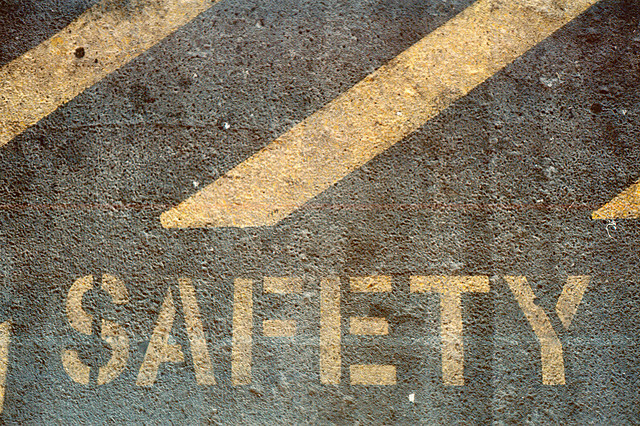 Health & Safety), while others are specialist terms used only by safety professionals (e.g. Safety Targets, Functional Safety). The reasons for interest in the terms and the reactions towards them – including the reactions (emotional, cognitive, behavioural and social) – are also interesting. Some terms (though relatively few) seem to attract people and are adopted willingly, even with enthusiasm or commitment, among non-safety specialists (e.g. Flight Safety, Patient Safety), while others attract mostly safety professionals (e.g. Safety Measures). Most terms, typically associated with compliance (e.g. Safety Standards, Safety Requirement), seem to encounter resistance and need to be actively promoted or sold, sometimes by other safety terms (e.g. Safety Incentives, Safety Argument)! Several terms are associated with enforcement (e.g. Safety Regulation, Safety Legislation, Safety Policy). Some terms seem have a burdensome tone (e.g. Safety Audit, Safety Accountabilities), associating them with a job or task that people outside the profession may well want to avoid (e.g. Safety Auditor, Safety Oversight). Some (e.g. ‘Elf ‘n’ Safety) even encounter ridicule. An underlying issue seems to be competition or conflict with other goals, demands or needs. Fundamental to this is the view that we tend to have of safety – unlike most other goals – that it essentially concerns avoidance (of accidents). Does this, paradoxically, lead to an avoidance of ‘Safety Stuff’. Is safety-fication a thing? Is is an issue? Should those of us in safety professions do anything about it? Perhaps we should be mindful of the (real) need to attach ‘Safety’ to other words, or at least think though the possible unintended consequences of this. It can also be a good idea to discuss this with someone who is outside the safety profession. While in many cases the word serves a useful purpose, in other cases it seems that the word ‘safety’ could be removed or interchanged (for ‘work’ or ‘system’, for instance). We might even think more carefully about what we actually mean by safety, and whether another perspective on safety (e.g. Safety-II) might help reframe some of these terms or atleast how we use the some of them. Ironically Safety-II is itself another safety term, and Erik Hollnagel himself has said that he wishes could find a replacement word. The word I would use as a shorthand for Safety-II is Effectiveness, which reunites or realigns safety with purpose. This entry was posted in Safety and tagged Language, safety. Bookmark the permalink.